The Musings has now been running for a number of years and over that time has accumulated really quite a back catalogue of major posts, summaries, round-up and collections of links and posts that are likely to be of interest to the casual visitor. Obviously with so many pages scattered across the blog it seemed sensible to create this one-stop-shop for all the most important things on here to make them easier to find. This includes a combination of what I think are my most important or significant posts and posts that round-up lots of useful information. 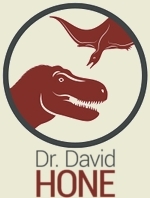 Online resources for palaeontologists. Rather self-explanatory – lots of useful things here for amateurs and professionals alike. New suggestions always welcome. Outreach roundup. Links to all my articles outside of The Musings and Podcasts, video pieces and more. The complete ‘how to’ guide for researchers. Links to all by posts on things like how to write a paper, create a poster, write an abstract etc. Palaeoart interviews. Every interview to date with a dinosaur / archosaur palaeoartist – nearly 30 and climbing. How to read a phylogenetic tree. Always seems to be popular this one, I assume there are other guides online but this does do well. The importance of science education for children. Another perennially popular post. Archaeopteryx Archive. The largest online archive of image of Archaeopteryx specimens and casts including close-ups and images in UV. Currently covering 10 different specimens. Gorgosaurus preparation final roundup. Collection of links to all the articles by Darren Tanke on here about preparing a tyrannosaur specimen. To those who would prove us wrong – a guide to arguing with scientists. By extension also about scientific discussion and marshaling your evidence and correct deduction. On ignoring ideas. A related post about why researchers seem to ignore some ideas.